Enjoy the best inspirational, motivational, positive, funny and famous quotes by Alvin O'Konski. Use words and picture quotations to push forward and inspire you keep going in life! 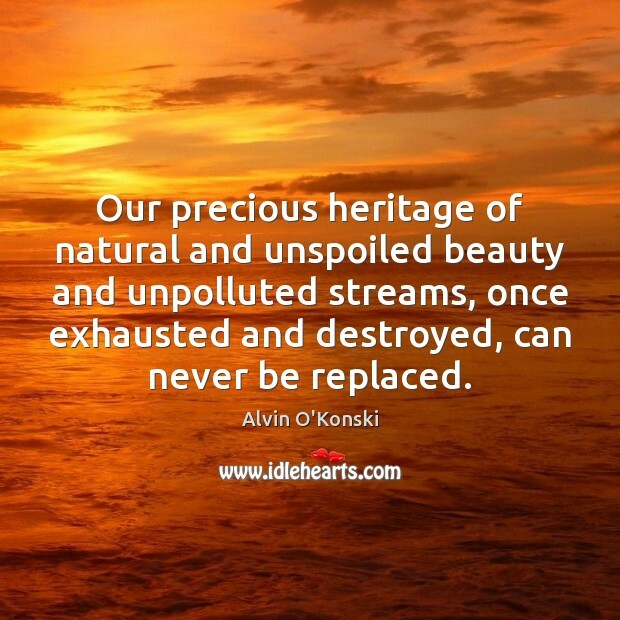 Our precious heritage of natural and unspoiled beauty and unpolluted streams, once exhausted and destroyed, can never be replaced.